Posted 9:41 am by Lauren. 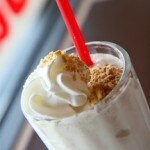 Savory, sweet and so-freakin'-good! 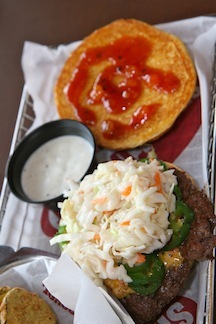 The Atlanta Burger includes peach BBQ sauce, Wicked® Pimena cheese, grilled jalapeños and Vidalia coleslaw. You'll feel a pleasant heat from start to finish.